How to use sprayer set up calculators? 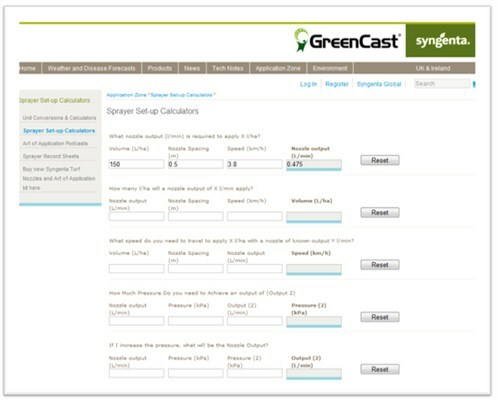 Calculating your water volume application during calibration is critical for accurate spray application. 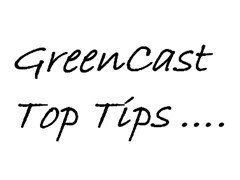 The GreenCast Application Zone has a clever set of automatic calculators where, if you input your known forward speed, nozzle spacing and required water volume, it will instantly tell you how much output you should collect from a nozzle during a calibration check. Also, if you know the output from the nozzle and your forward speed, it will tell you exactly what your water volume application rate is. Using the calculator, you can then infinitely adjust your forward speed and/or pressure, to deliver precisely the right water volume. Simply enter your figures in the white boxes, and click on the grey shaded box to calculate your answer. You can try any number of different combinations of variables and click on the grey box each time to see what effect that has and to work out what will be best for you. There are also quick calculators to work out the area you can spray per fill at any given water volume, and the amount of product you need to add to the tank to treat any given area.